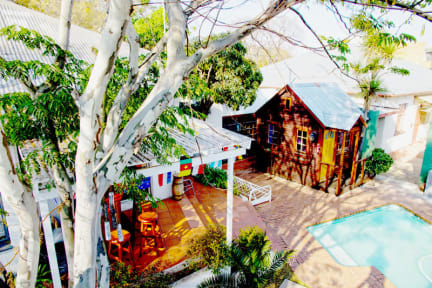 HomeBase Melville Backpackers is your ideal base in the vibrant heart of gold in Africa's Johannesburg. It is in easy walking distance to the famous 7th Avenue with all its fantastic eateries, clubs, galleries, bookshops, off beat clothing shops and music bars. Melville is unique in its vibe as it reflects the surrounding Media & Arts student communities in this part of Johannesburg. Close to two leading universities, you can walk around the corner to the Campus Square Shopping Centre, Laundromats, Fast food outlets, clubs and pubs at night and sidewalk cafes by day. Gold Reef City, The Apartheid Museum, Constitution Hill, Civic Theatre, Market Theatre, O.R. Thambo International and Lanseria airports, the Cradle of Mankind historical site, Planetarium, Soccer City, Ellis Park and Wanderers sports grounds, are all a quick taxi ride away from us. 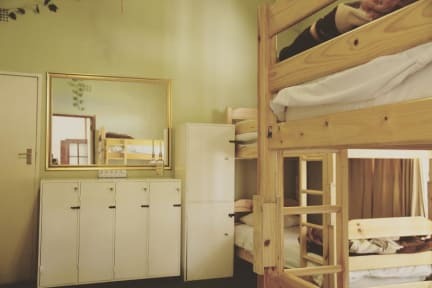 HomeBase Melville Backpackers offers comfortable new beds, showers, swimming pool, and a range of accommodation options, from dorm bunks to single room on suite with a double bed. Free WiFi is available and complimentary basic breakfast to kick start your day. We also offer airport shuttle to and from the airport upon arrangement. We also have a tour desk that helps organize excursions in and around Johannesburg.